- Jacob Garstka, Secretary, Reedsburg, Wisconsin. 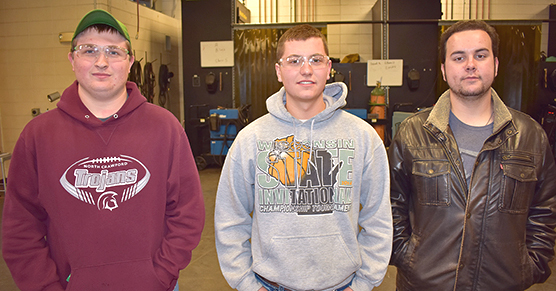 Students enrolled in a welding trade are encouraged to join the Skills USA Chapter. Members engage in activities that help prepare the student for further education and employment. Students learn respect for the dignity of work, create an enthusiasm for learning, and participate in fundraising events.